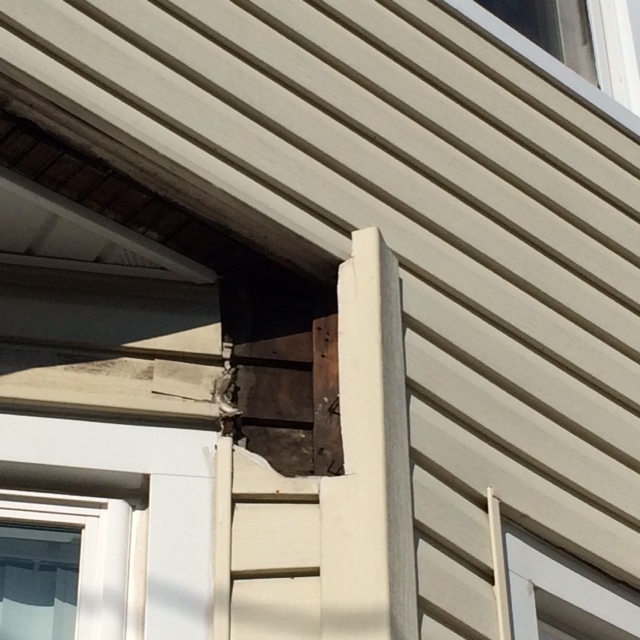 I have to repair a small area of siding in my home. I already have the siding material, however I need guidance on material sheating/insulation to put underneath the vinyl siding. I viewed the underlayment material underneath another section and it appears the material is a rubber sheating/insulation however I could not find that or another comparable item on homedepot.com. Any advice/guidance will be greatly appreciated! 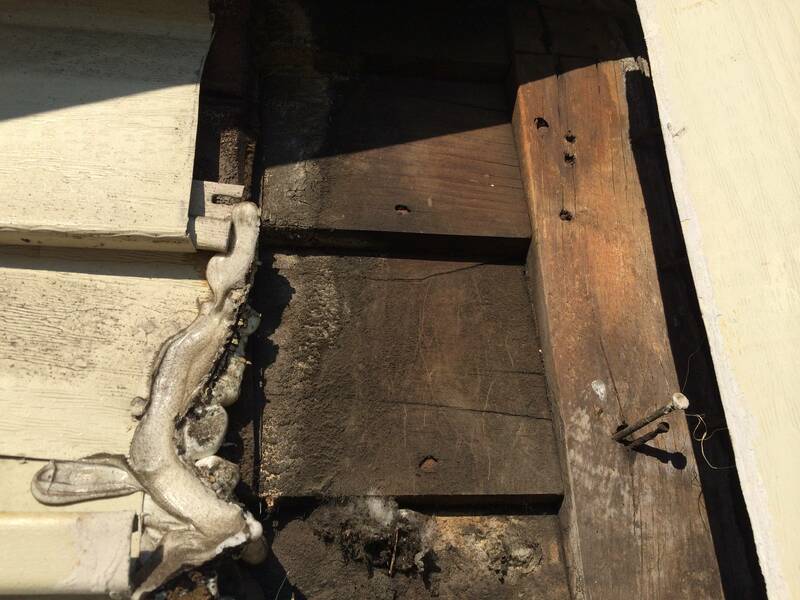 It's difficult to tell from the picture exactly what you have there; the sheathing looks like individual boards. Is this an older home? A very sticky, rubbery membrane is sometimes used to flash windows. It's essentially the same product that used on roofs to prevent water infiltration from ice dams. In any case, flashing a window correctly is very important, otherwise water can get in and cause damage. Can you get us a few more pictures? Yes this is an older home from 1940. Will post another picture shortly. What a great question Almanzarj! And, thanks for the images! 5) Replace the corner cover. Make certain to cap the top of your replacement corner cover to prevent future damage from water or household pests. Again, thanks for including the images ... they really help! It is still difficult to tell exactly what underlayment, if any, was there. I would suggest cutting a small sample from under the exposed edge and showing it to your Building Materials Associate. Chance is that you will find a suitable substitute ... something like shingle felt. Once you complete the repair, come back and share your "How To" solution with The Community.